Dark fiber is dedicated strands of customer controlled fiber between locations. 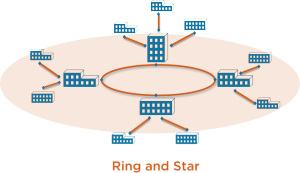 This allows organizations to utilize as much bandwidth as necessary at a fixed cost. Transporting today’s big data and content requires high capacity – low latency networks. Dark fiber is a compelling option for this purpose. Large enterprises, carriers, ISP’s, as well as federal, state, and local governments are typical dark fiber users. With dark fiber, an organization can dial up their network bandwidth with few additional recurring charges. Enterprise Telecom Partners uses leading fiber mapping tools and extensive carrier resources that enable us to help our clients unlock these strategic resources.